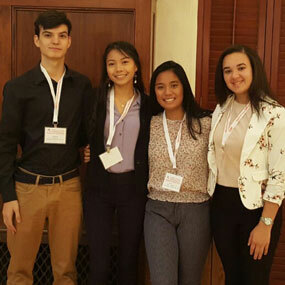 A group of high-achieving students from the Texas Bioscience Institute presented research at a University of Texas conference. Eight high school students, including four from Killeen ISD schools, took part in the Capital of Texas Undergraduate Research Conference Saturday, November 3. 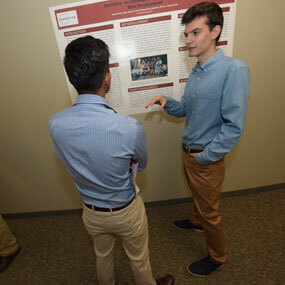 Christopher Apgar, a 2016 graduate of the TBI program, now a junior neuroscience major at the Univeristy of Texas organized the event to give high school students interested in research the chance to present at a university. More than 100 students from 13 universities across Texas participated in the event. The Central Texas students connected to TBI were the only high school students invited to the university conference. 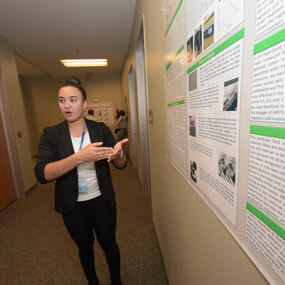 They presented research they conducted over the summer as part of the TBI Summer Research Program along with mentors from local institutions on original research projects. Two of the students – Alyssa Cabading and Chantelle Cancel – gave oral presentations as well as presenting posters about their research. The conference included a panel discussion and a keynote speech by Dr. John Goodenough, inventor of the lithium-ion battery. Texas Senator Dawn Buckingham addressed the conference through video. The TBI Middle College program offers high school juniors and seniors the opportunity to earn up to 60 college credit hours in STEM–focused through Temple College. Students attend half their day at TC’s west campus and half at their high school. Last August, the students presented their research in the TBI’s annual poster presentation following the summer research. The Texas Bioscience Instiute provided information and the group photo for this article.